With the start of the 2016 Geico Bassmaster in Tulsa, Oklahoma, The Rod Glove is proudly represented by several Pro Bass Elite's including Randy Howell. This past week saw Randy doing well during the practice days and he is certainly a man of faith and interest.To get to where he has come, we can look at where he came from. Randy has been fortunate to have been raised on the water at a very early age as his parents bought a full service lodge, marina and bait and tackle store on Lake Gaston, NC when he was just a young boy and with his faith he decided to focus on a career in the fishing world. 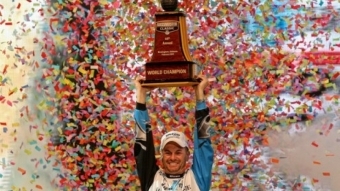 His year after high school, he married his best friend Robin and at the age of 19, he started fishing the Top 100 Tour (Formerly Bass Elites). On the last day of a tournament in Georgia in 1992, Randy was immediately taken to the hospital where the doctor diagnosed him with having three holes perforated in his colon. After surgery he was told by the doctor that the road to recovery would mean many problems. After a couple of more surgeries and some quick healing, Randy surprised the doctor's as he was determined to make it back onto the tournament trail. He learnt a great deal about himself and his faith in God during this time and it built the foundation that Randy lives his life around today. 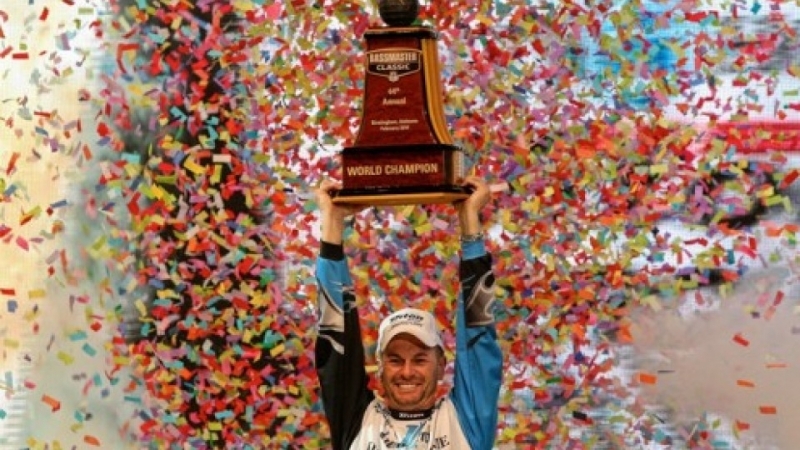 Randy has worked hard but his success finally came in 2014 when he won the prestigious Bassmaster Classic and became the World Champion in his home state of Alabama. Known as having one of the cleanest and most organized boats in the Pro Bass Elites, Randy prefers to colour match his rods with the Rod Glove blue spyders on his Triton. He has an extra rod with a blue Rod Glove in his second storage container along with extra baits. His boat is very organized and The Rod Gloves help him keep everything in place. Though he has had many trials and tribulations, these experiences have strengthened his faith and he has become a 12-time Bassmaster Classic Qualifier and national spokesman for King's Home and has become very involved with his community. Each November, Randy graciously donates his Triton/Mercury Bass boat which is auctioned and the proceeds are given to King's Home. Through the event, Kampfire for the King, funds are raised for this Christ centered home that offers respite for children, youth, women and mothers at risk seeking refuge from abuse, neglect, abandonment, and homelessness. More information can be found at www.kingshome.com.